Salmon Run Trail is a 5 mile (10 mile round trip) located in Heron State Park. Starting at the Heron dam, and ending at the visitor center, or vice versa. No real elevation gain, so the hike is relatively moderate. Guess this is where all the tumbleweed ends up. Whole area was packed full of it! Destination. They also will receive UPS and Fed Ex packages for you here, unless you are unfortunate enough to get the lazy UPS driver, then youll have to drive to the Los Ojos post office. Man made Ospreys nest up close. 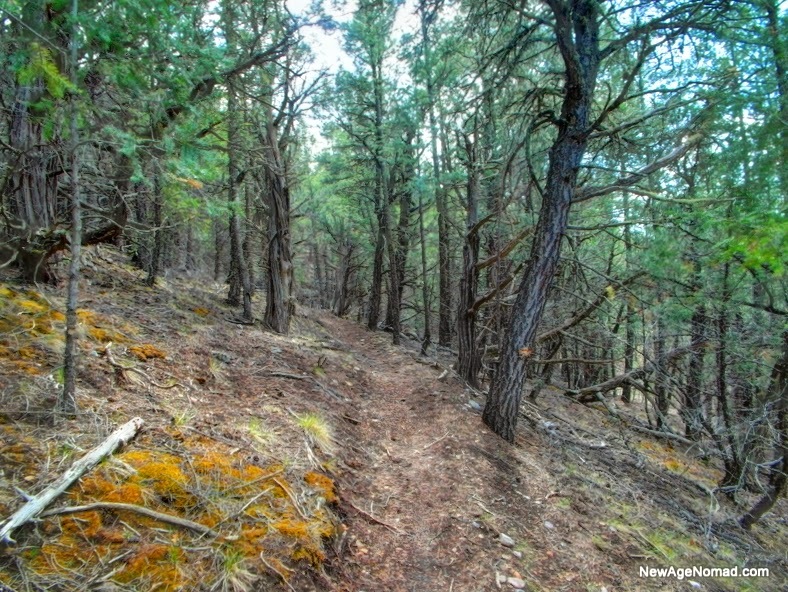 You can continue your hike for another 3 miles from the visitor center on the east meadow trail which leads to the a lookout to see the source of Heron Lake. All the water used to fill Lake Heron is run through a series of underground tunnels the longest being the Azotea tunnel running a length of 12.8 miles under the continental divide. My camp in the trees in the distance from the trail. Thanks for visiting! Good Day! Really nice area. The picture of the tail reminds me of one on the backside of Mt. Lemmon. Great pictures. The deer was checking you out pretty good. Its a great area ready to move on though. Some of there deer were really checking me out. I've been on the road for weeks myself but without my own hotspot, so I have not had a chance to read all your posts in the last few weeks. 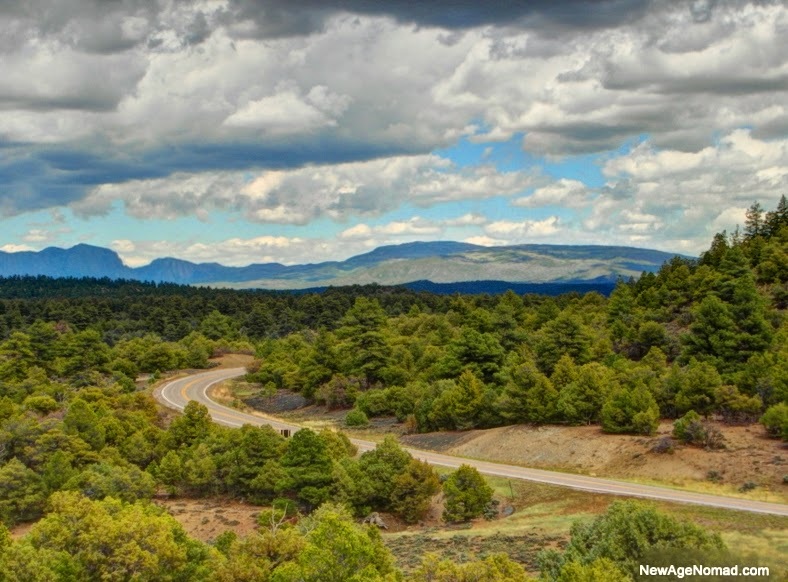 Thought I'd mention that you are near one of my favorite drives in NM (I lived there about 7 years). Between Tierra Amarilla and Tres Padres (hwy 64?) is a great drive that gains a lot of elevation. Once you are "up there," you can find amazing views almost looking down on Brazzos Cliff (spelling?). There are a few old picnic shelter turnouts, but I'm not sure if camping is allowed. The eastern downhill part is not as scenic, but there is a campground around a very small lake there. I'm pretty sure it is still a "tall tree" area like the higher elevations. Just FYI.